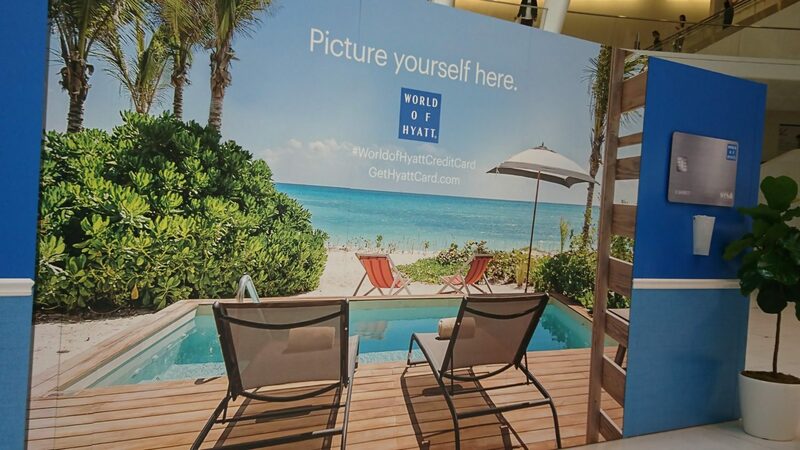 Hyatt Touts Perks and Points for Healthy Cardmembers at NYC Event. 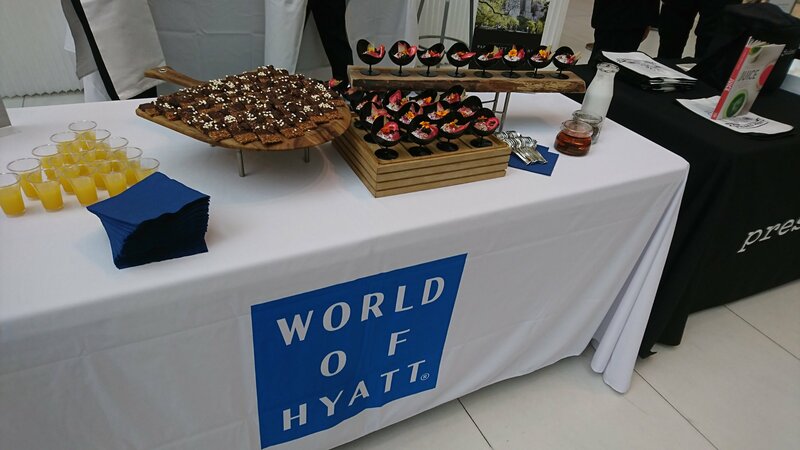 At a special media event NYC’s World Trade Center Occulus retail center this week, we were introduced to Hyatt’s revised “World of Hyatt” credit card with Chase. 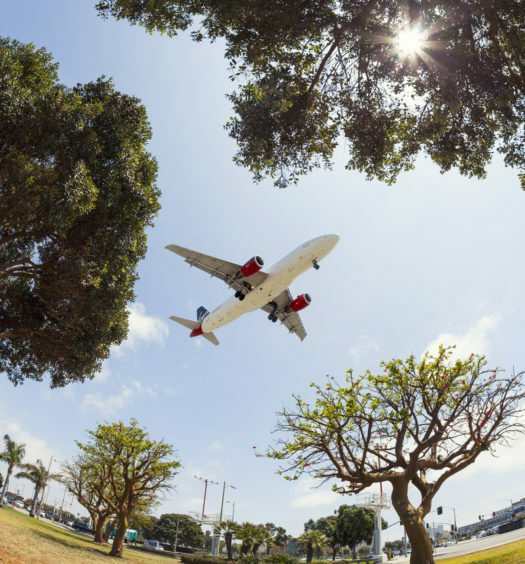 Details of the new card were covered extensively by our Boarding Area partners each providing their unique takes on benefits. Here are the raw details (with likely the most unique new perk in bold). There’s a lot of plus to the card but likely the most unique feature is it’s focus on wellness. 2x points on gym memberships isn’t a normal thing and is potentially lucrative. I’m already daydreaming about all the points I could get from that New York Sports Club membership I use never. 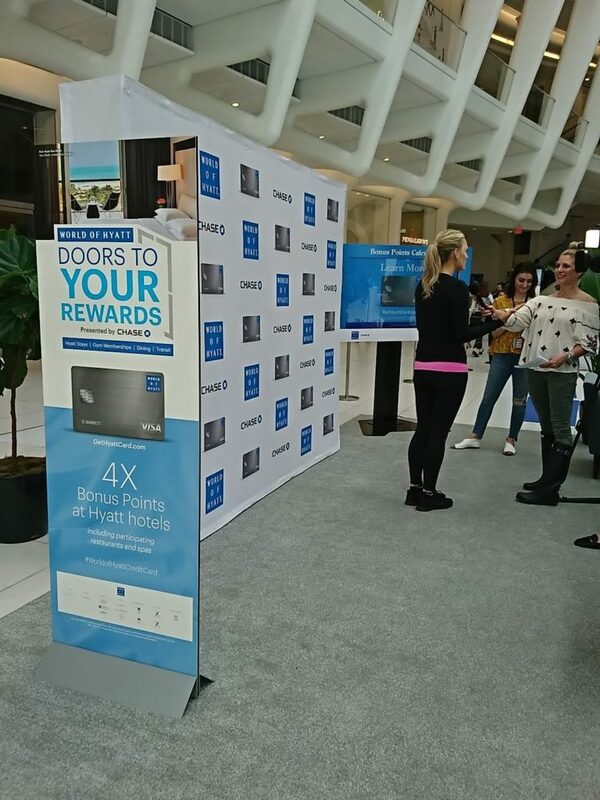 The event seemed to shine a spotlight on healthy guest benefits of the new card, including points for participating hotel spa visits. Perhaps a ploy to distract us from was to be an otherwise mostly unrelated big announcement (the card and signup bonus), vendors were brought in to focus on the wellness theme. 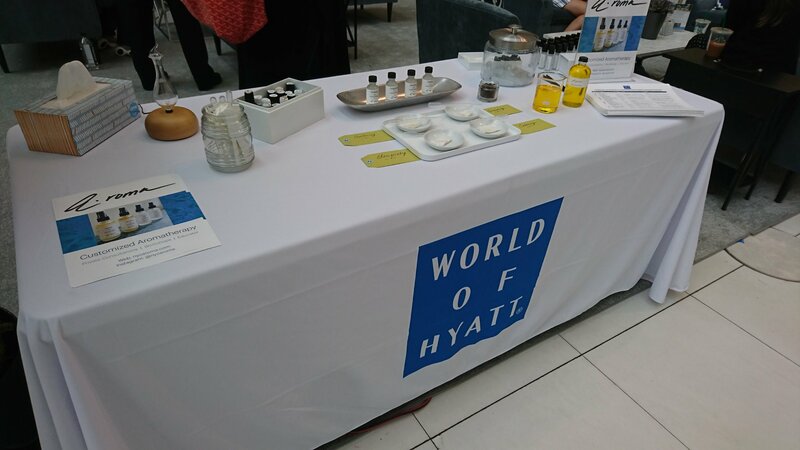 A real Aromatherapist was on hand to ground, center and calm me down. Model and Actress Molly Sims was on hand for Yoga. Fitness expert Molly Sims was on hand for interviews and Yoga. A very knowledgeable pair of Juicers from Pressed Juicery schooled me on the benefits of charcoal, which has a fairly intense cleansing effect. Who knew? 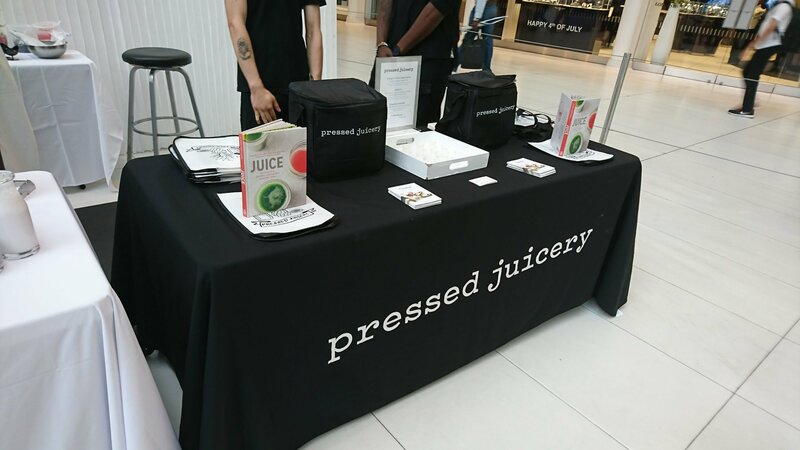 Pressed Juicery brought healthy samples. Local Hyatt chefs came to serve up healthy morning snacks. The focus on health at the event was a neat twist but I think most of us are still laser focused on the potential 60k bonus and some of the other perks that come with the revised Hyatt card. Is the fitness/gym 2x points bonus a big deal to you? Let us know. 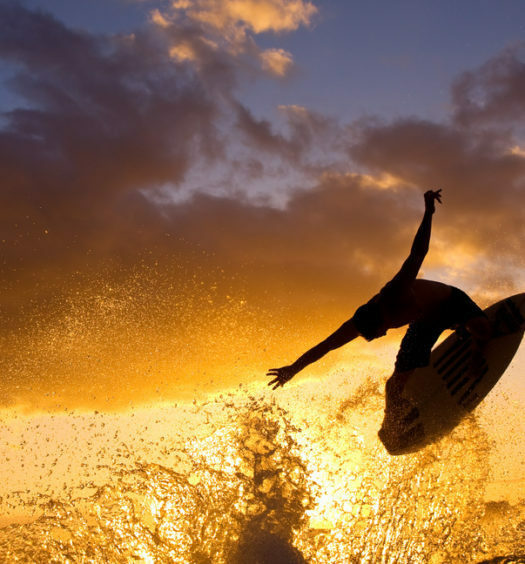 Podcast 20 | How Jake Surfs…and Some News.